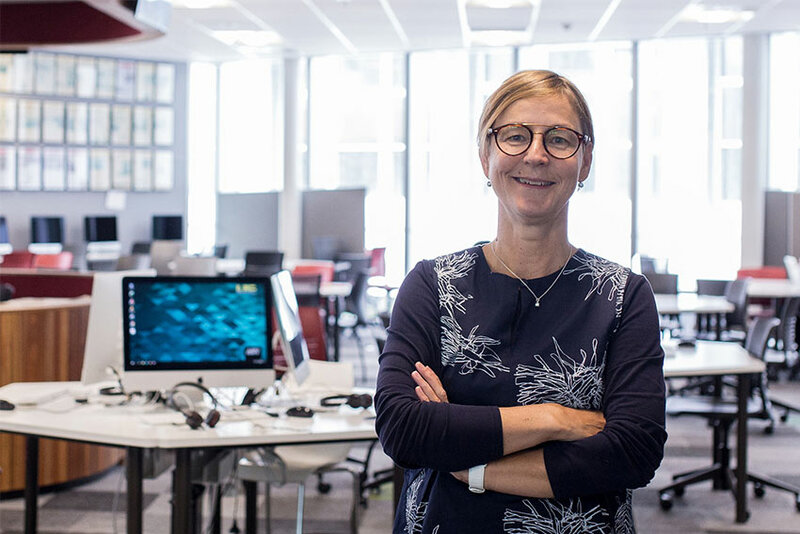 Dr Merja Myllylahti has been appointed as co-director at the AUT research centre for Journalism, Media and Democracy (JMAD). Prior to her appointment, she was a project manager and author at JMAD. Since 2011, she has compiled eight New Zealand media ownership reports for the centre. Myllylahti was appointed to the role after JMAD co-director, Associate Professor Verica Rupar, was appointed as Associate Head of the School of Communication Studies, responsible for research. Professor Wayne Hope continues as JMAD Co-Director. AUT research centre for Journalism, Media and Democracy (JMAD) has published its eighth New Zealand Media Ownership Report which includes in-depth coverage of the structural and ownership changes in New Zealand media market during 2018. The report, authored by Dr Merja Myllylahti, was published on December 6, 2018, and can be found here. In 2016, JMAD launched a publicly accessible Facebook group. Anyone interested in journalism, media and democracy is welcome to join the group which can be found here. JMAD was established in 2010 to promote research and advance knowledge about media and communication industries, news and journalism professional practices. The report, published on December 1, 2016, has been authored by Dr Merja Myllylahti, and can be found here. The Press Release is also available here. In 2016, JMAD launched a publicly accessible Facebook group which currently has over 180 active members. Anyone interested in journalism, media and democracy is welcome to join the group which can be found here. AUT’s Centre for Journalism, Media and Democracy (JMAD) celebrated the fifth anniversary of its New Zealand Media Ownership Report on December 11. The 2015 report, authored by Merja Myllylahti, is found here. Analysis of the 2014 elections is published and can be found here. "News, politics and diversity in the 2014 New Zealand General Election" is the first report produced by AUT Media Observatory. BCS (Honours) student Craig Hoyle looked at the representation of ethnic groups and analysed articles using the term "Asians". 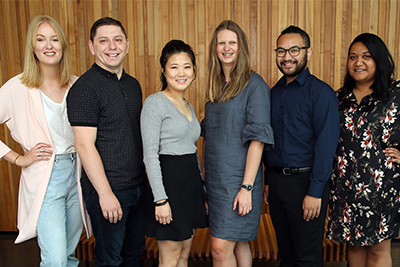 His Honours dissertation "Financially important yet voiceless: Representation of Asians in media coverage of the 2014 New Zealand General Election" is here. The JMAD New Zealand media ownership report 2014 was published and distributed on December 5, 2014. On page 40, the report includes reference to journalist Fran O’Sullivan; however, the inclusion of her name was a mistake. The report has been amended as of December 8, 2014 and Fran O’Sullivan’s name has been removed from the report. The author, Merja Myllylahti, apologises for this oversight and for any harm it has caused. The amended report can be viewed here. AUT’s Centre for Journalism, Media, and Democracy (JMAD) has published its fourth New Zealand Media Ownership Report. The 2014 report, authored by Merja Myllylahti, can now be found here. The report is being used at the AUT as a reading material for media communication and journalism students. It is also used as a teaching tool in other New Zealand universities. AUT’s Centre for Journalism, Media, and Democracy (JMAD) has now published its third New Zealand Media Ownership Report. The 2013 report, authored by Merja Myllylahti, can now be found here. AUT’s Centre for Journalism, Media, and Democracy (JMAD) published its second New Zealand Media Ownership Report in November 2012. Find the newest and the last year’s reports here. Following last year's successful conference, we are pleased to announce that JMAD 2012 will be held this year on September 13. The conference themed "Australian and New Zealand Media Histories: Commonality, Autonomy, Convergence" will be held at AUT University. More details on the conference. JMAD’s first New Zealand Media Ownership report has gained fair amount of publicity. Here are some links if you like to read and listen what has been said about our first Interim Report. You can now follow us on Twitter! Our Twitter-name is @jmadaut. During the JMAD conference in Auckland 15-16. September 2011, you can follow tweets from conference here #jmad2011. The Centre for Journalism, Media and Democracy (JMAD) will publish its first report of New Zealand media ownership on September 16th 2011. The report is the first one in three years to map recent trends and developments in New Zealand media ownership. The full report will be published here after September 16th. The JMAD Media Mapping Project is under way to collate, update and make available online material relating to media ownership patterns in New Zealand. The project is being managed by Ms Merja Myllylahti who is currently a PhD researcher at the AUT School of Communication Studies. Her research interest lies in evolving business models of online news media, and especially how the new pay and subscription models are utilised by New Zealand media industry. In 2009, her research paper “Taking paper out of news: A case study of Taloussanomat, Europe's first online-only newspaper” won the best research paper at the International Symposium for Online Journalism in Austin, Texas. The press coverage on her work has been extensive worldwide - including The Wall Street Journal, Reuters, The Guardian and The Independent. JMAD is pleased to announce a stellar line-up of international keynote speakers to open the 2011 Auckland conference: @JMAD2011 The political economy of communication [15-16 September 2011]. Three leading international scholars in the political economy of communication will kick-start this year’s JMAD conference. Graham Murdock, Janet Wasko and Dwayne Winseck are well known for their research and writing in the field over many years.